Peugeot has given its 5008 an overhaul, with significant changes to exterior styling, revised standard equipment and changes to pricing. Prices have increased slightly, meaning entry level Access models cost from £18,800, up £200. The updated model is available now. 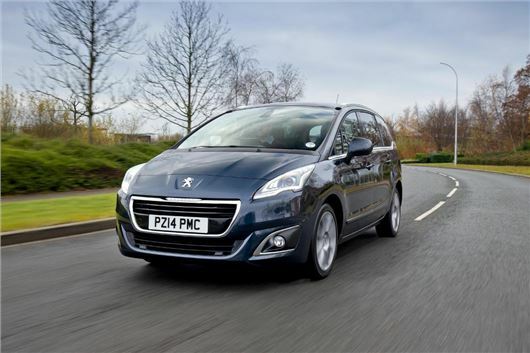 Externally the 5008 has had its styling brought into line with the rest of the Peugeot line-up, with a new grille design, restyled front bumper and new headlights. There are also new colour choices – Rich Oak and Artense Grey - and new alloy wheel styles. Peugeot has added some additional specification to the mid-spec 5008 Allure including a reversing camera and head up display (HUD) which projects useful information like current speed into the driver’s field of vision. Entry level Access variants now come with parking sensors as standard. Six engine and transmission combinations are offer – four diesel and two petrol. The most efficient engine in the range is the 115PS 1.6-litre e-HDI, which comes with an automated manual transmission. It has emissions of 113g/km and manages an official economy figure of 65.7mpg. The same engine is also offered with a manual transmission, but it is less efficient. Peugeot also offers a 150PS 2.0-litre diesel manual, a 163PS 2.0-litre diesel auto, a 120PS 1.6-litre petrol manual and a 156PS 1.6-litre petrol manual.